China Telecom start selling the Dual SIM Galaxy Note 5 (SM-9200) also known as Galaxy Note 5 Duos, this particular model has dual-SIM support. 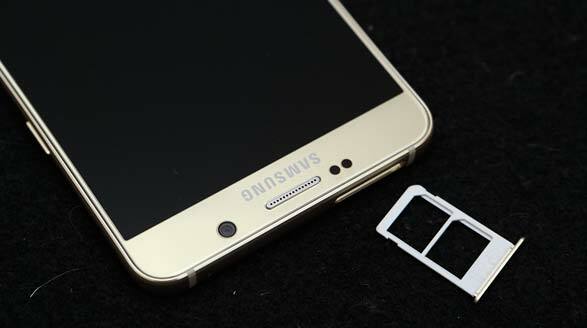 The smartphone sports a dual nano SIM slot and 32GB of storage space and support for several FDD-LTE and TD-LTE bands in order to be compatible with Chinese 4G networks. In addition to the dual-SIM support, all of the other specifications will always be a similar. The Dual SIM Galaxy Note 5 features a 5.7-inch QHD Super AMOLED display, an Exynos 7422 64-bit octa-core processor, 4GB of RAM, a 16-megapixel rear camera (here the Camera Sample Photo), a 5-megapixel selfie camera and 3,000mAh battery with fast wireless charging support. Connectivity options include 4G LTE support, Wi-Fi 802.11 a/b/g/n/ac, Bluetooth 4.2, NFC and USB 2.0. On the software front, it runs on Android 5.1.1 Lollipop out-of-the box, wrapped under a refreshed TouchWiz UI. China Telecom now selling the Dual SIM Galaxy Note 5 (type SM-9200) for 5,388 Chinese yuan or $846 in US dollars and available in gold and white colors.